Brady Anderson, Sacopee Valley senior, shortstop: Anderson was the WMC Class C/D player of the year as a junior. Connor Aube, Falmouth senior, center fielder: One of only two juniors on last year’s Maine Sunday Telegram all-state team, Aube hit .412 with 13 steals and 20 runs. Charles Barnard, Portland senior, pitcher: Went 4-0 with a 1.84 ERA and two shutouts last year. Charlie Bell, Wells senior, center fielder/pitcher: A four-year starter in center field, he led the Warriors with 20 RBI last season and also had four wins as a pitcher. Dom Bernard, Deering senior, center fielder: Won the SMAA batting title last year with a .457 average, and had a 1.000 fielding percentage. Brady Crepeau, Biddeford junior, pitcher/first baseman: Crepeau had a 3.38 ERA and hit .265 with two homers last year after earning all-SMAA honors as both a pitcher and outfielder in 2014. Jack Davenport, Freeport senior, shortstop/pitcher: Had a 4-3 record with a 2.39 ERA and hit .510 with three homers. Luke Glenda, Yarmouth senior, pitcher/first baseman: Struck out 44 in just 292/3innings, going 4-2 with a 2.12 ERA, and also hit .351. Cam Guarino, Falmouth junior, pitcher: A left-hander, Guarino is 12-2 and has allowed only six earned runs (0.47 ERA) in his first two varsity seasons. Elias Henze, Brunswick senior, shortstop/pitcher: An excellent defensive shortstop who hit .315 last season. Sam Kilborn, Gorham senior, pitcher: Was 4-2 with a 1.91 ERA last year after missing his sophomore year because of a knee injury. Jensen LaPoint, Cheverus senior, first baseman/catcher: A starter since his freshman season, LaPoint was the SMAA batting champ in 2014 but struggled as a junior, hitting just .275. Ben Lambert, Thornton Academy senior, pitcher/utility: The SMAA MVP as a junior, he batted .393 with a .601 slugging percentage, and was 5-3 on the mound with a 0.86 ERA and 68 strikeouts in 57 innings. Nick Lorello, Scarborough senior, shortstop: Hit .313 last season and led the team in runs, RBI, total bases and stolen bases. Roderick Maynard, Sacopee Valley senior, pitcher: A left-hander, Maynard was 8-1 last season. Nick Mazurek, Oceanside senior, pitcher/shortstop: Mazurek, who will play next year for Southern New Hampshire University, dominated as both a pitcher and a hitter last season. He hit .338 with six homers, 22 RBI and a .556 on-base percentage, and was 6-1 with a 0.48 ERA, 59 strikeouts and three walks in 44 innings. Dana McKay, Bonny Eagle senior, pitcher/infielder: Hit .347 with 15 steals and had a 1.91 ERA in 18 innings. Marshall Peterson, Cape Elizabeth junior, pitcher: Went 8-1 with a 0.63 ERA in 48 innings. Bailey Ryan, Westbrook senior, outfielder/pitcher: Led the Blue Blazes last year with a .375 batting average and .583 slugging percentage, and was also the team’s top pitcher (2-2, 2.19 ERA). Thomas Silk, Waynflete senior, shortstop/pitcher: Silk hit .545 with three homers, 18 RBI and 15 steals last season. Calvin Soule, Greely senior, shortstop: Hit .379 with 16 RBI and 21 runs for the two-time defending Class B state champion. Brendan Tinsman, Cape Elizabeth sophomore, catcher: Had a strong freshman season and has already given a verbal commitment to play for Wake Forest. Sam Troiano, South Portland junior, outfielder/pitcher: Was named to the SMAA second team as both a pitcher and outfielder after hitting .313, and going 3-1 with a 0.72 ERA. Ryan Twitchell, Greely junior, pitcher: Threw a no-hitter in the Class B state championship game, capping a season in which he went 6-2 with a 1.27 ERA. John Williams, Portland senior, first baseman: An all-SMAA selection in 2015, he hit .424 with 15 RBI and 19 steals. 1. Portland: Last year’s runner-up in Western Class A (now Class A South) returns its top two pitchers – Dan Marzilli and Charles Barnard – and starters at every position except catcher. First baseman John Williams and shortstop Jake Knop lead an experienced lineup that should be especially strong in the field. 2. 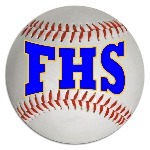 Falmouth: Center fielder Connor Aube and shortstop Robbie Armitage head a solid lineup,and junior lefty Cam Guarino is one of the state’s top pitchers. The Yachtsmen play mostly a Class B schedule but should contend for the Class A South title. 3. Cheverus: The Stags are counting on bounce-back seasons from catcher/first baseman Jensen LaPoint and pitcher Alex Jacobs. Third baseman Chris Vallee, an SMAA second-team all-star in 2015, is another veteran in a lineup that will include two sophomores and a freshman. 4. South Portland: The 2015 Western Class A champ lost 11 seniors but still has pitcher/outfielder Sam Troiano, a two-time all-SMAA selection, and his brother Nick, a catcher. Ben Conti, Griffin Kelley and Drew Abramson are other key returnees. 5. Greely: The Rangers have won two straight Class B state championships and return six regulars, including pitcher Ryan Twitchell and the senior double-play combo of Calvin Soule (shortstop) and Justin Leeman (second base). 6. Cape Elizabeth: The Capers have almost everyone back from a team that lost in extra innings to Greely in the Western Class B final, including pitchers Marshall Peterson, Nate Ingalls and Bryce Hewitt, and sophomore catcher Brendan Tinsman. 7. Thornton Academy: Senior pitcher Ben Lambert – the SMAA’s most valuable player in 2015 – and all-SMAA catcher Brandon Hall lead a team that went 11-6 last season but was upset in the first round of the playoffs. 8. Deering: Center fielder Dom Bernard, the reigning SMAA batting champion, is the focal point of the offense for a team that went 11-7 last year. Junior pitchers James Sinclair and Colby Dame were regulars in the rotation as sophomores. 9. Yarmouth: The Clippers were just 8-8 last season but lost only two regulars and have four of their top five pitchers back. Left fielder C.J. Cawley, catcher Jack Snyder and second baseman Andrew Kinsman are third-year starters, and first baseman Chris O’Donnell was an all-WMC selection. 10. Sacopee Valley: The Hawks lost only three games combined in 2014 and 2015, and have seven returning starters – four of whom were WMC Class C/D first-team all-stars. Shortstop Brady Anderson and catcher Kyle Jordan are the catalysts on offense, and left-hander Roderick Maynard went 8-1 last year.